This course is an introduction to the ecoFinish thermoplastic spray pool and spa finishing system and signature finishes called aquaBright and polyFibro. 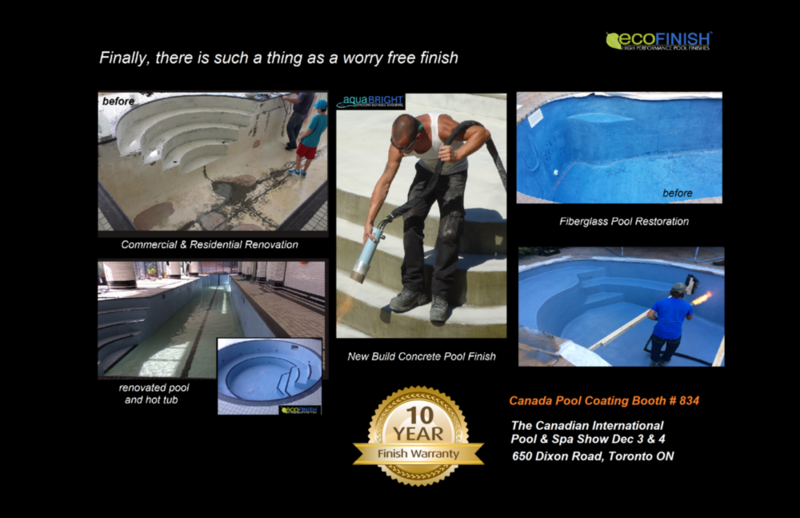 ecoFinish developed these high performance finishes to address issues associated with traditional pool finishes. Issues such as mottling, cracking, peeling, fading and chemical breakdown. ecoFinish thermoplastic finishes are pneumatically applied using a patented flame spray system that operates with propane and air. These systems are made in Italy and require only a two person crew to operate and install the thermoplastic finishes onto either new-build projects and/or used to renovate tired older pools and spas. aquaBright is installed on concrete, plaster, fiberglass, steel and aluminum surfaces ( provides colour continuity for hybrid pools with various substrates); ecoFinish developed these finishes as an alternative to pool paint and plaster. Start the 2016 Swimming Pool Season with a bang!Ask us about our New Installer Incentives. Mike will be showing everyone how the ecoFinish Thermoplastic Spray System operates. Join Mike and give it a try for yourself. See what the ease of operation feels like and how easy it is to install these finishes. Cures instantly. A typical average pool can be completed in three days. We have limited seats left! Join us on Dec 2 for our first Canadian Event! Tired of Shovelling? Come on down to Warminster. 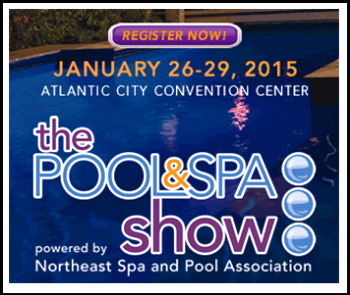 Let us show you how to increase your pool business profits with indoor work in the winter. We will help elevate your company service offerings to include new build pool finishes on cement, plaster, steel, fiberglass and aluminum swimming pools... renovations and resurfacing of older pools and, you can even refinish spas - right in place. Join us for a day in Warminster PA. Meet proactive pool professionals who are changing the pool industry with this revolutionary system. This is an all day event. RSVP is required as seating is limited. Corporate ecoFinish rate is available at the Holiday Inn Warminster.